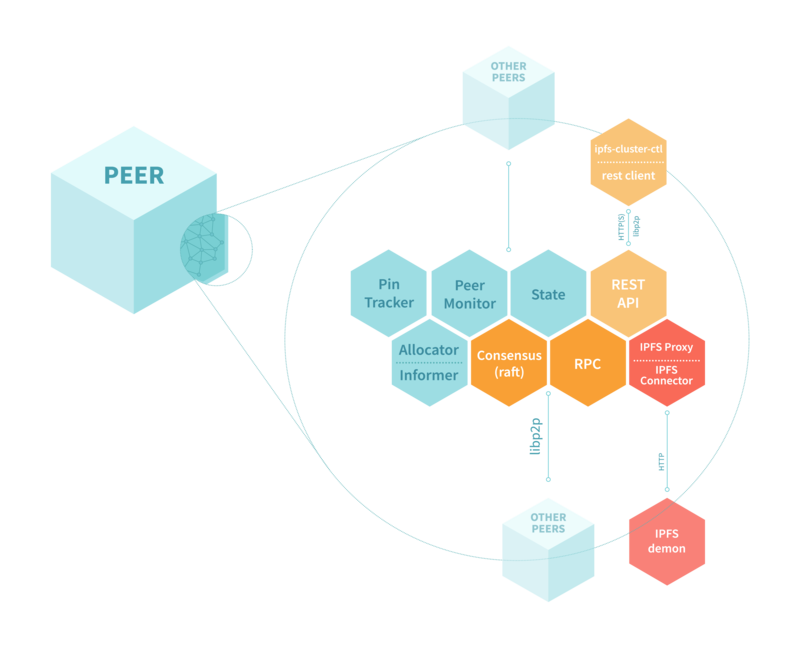 This document gives an overview of the IPFS Cluster architecture. The Consensus component. The default consensus component uses go-libp2p-raft via go-libp2p-consensus. Default: raft. Tracer: a component to manage exporting metrics and tracing. Communication between components happens through the RPC API: a set of functions which stablishes which functions are available to components (rpc_api.go). 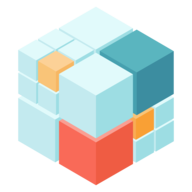 The RPC API uses go-libp2p-gorpc. The main Cluster component runs an RPC server. RPC Clients are provided to all components for their use. The main feature of this setup is that Components can use go-libp2p-gorpc to perform operations in the local cluster and in any remote cluster node using the same API. This makes broadcasting operations and contacting the Cluster leader really easy. It also allows to think of a future where components may be completely arbitrary and run from different applications. Local RPC calls, on their side, do not suffer any penalty as the execution is short-cut directly to the correspondant component of the Cluster, without network intervention. On the down-side, the RPC API involves “reflect” magic and it is not easy to verify that a call happens to a method registered on the RPC server. Every RPC-based functionality should be tested. Bad operations will result in errors so they are easy to catch on tests. Components are organized in different submodules (i.e. pintracker/maptracker represents component PinTracker and implementation MapPinTracker). Interfaces for all components are on the base module. Executables (ipfs-cluster-service and ipfs-cluster-ctl are also submodules. A config module provides support for a central configuration file which provides configuration sections defined by each component by providing configuration objects which implement a ComponentConfig interface.